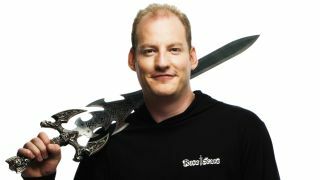 Jagex, creator of the enduringly successful MMO game Runescape, said it believes that developers need to stay open-minded about developing games across platforms. CEO Mark Gerhard told TechRadar that exclusivity is becoming less of an option, and that game makers need to keep an open mind when it comes to choosing platforms. "I think the answer for game developers of the future is that you have to be agnostic, you have to work across all ecosystems," said Gerhard. However he warned against developers taking the easy route when carrying games across to different devices. "You can't be lazy and just port your code," he said. "You also have to augment the game to optimise each device, each experience for what it was designed to do." Gerhard reckons that because the PS4 and Xbox One will be limited in their reach compared to their predecessors, a change of attitude is needed. "If PS4 or Xbox One absolutely smashed it, I don't think they'd get any greater percentage of market share now within an overall ecosystem because you have mobiles, smart devices, you have smart TVs coming in, plus you have PC too," he said. "It looks like everyone's having a go with their own platform. So I think that's only going to get more fragmented." Jagex is currently celebrating the release of Runescape 3, which has just moved from Java to HTML5. While it won't be taking advantage of the opportunities for mobile right now, Gerhad said that Jagex is currently busy looking at bringing the experience to tablets. He also told us us that the company is looking very closely at the next-gen console space. "I think the ecosystem [the next-gen consoles are] providing, and thinking of it as a complete entertainment device rather than just a gaming platform, ties in very nicely with where we're thinking [of going] with our product and lifestyle offering too," he said, adding that he feels encouraged by consoles becoming less restrictive in terms of publishing. "It does seem like there's a liberalisation coming along there, and I think when it does we'll be one of the first to go down that route."